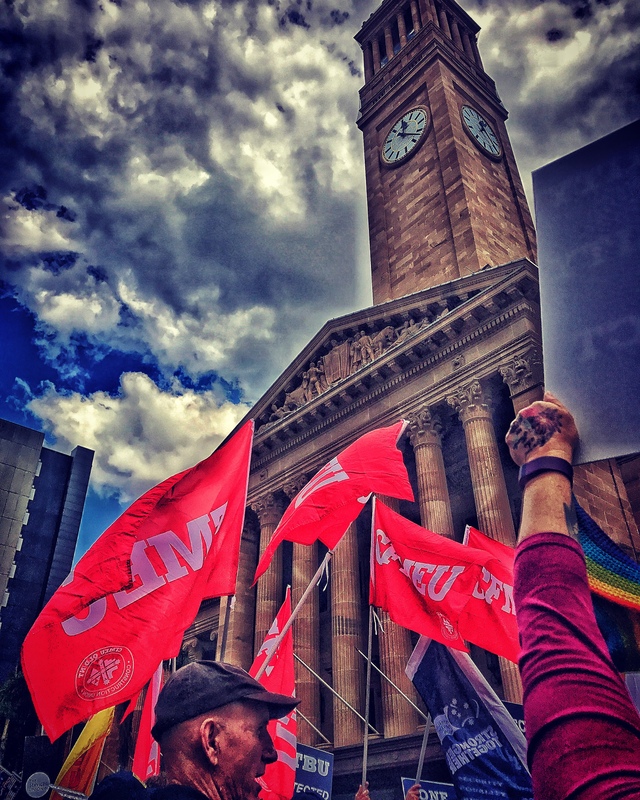 Australian trade unions have always changed and merged to reflect the shifting nature of work and employment, as industries and occupations disappear or develop. This is why it makes sense for the Maritime Union of Australia (MUA), the Textile, Clothing and Footwear Union of Australia (TCFUA) and the Construction, Forestry, Mining and Energy Union (CFMEU) to merge into a “super union”. The new union, to be known as the CFMMEU, will especially benefit members of the (currently) less influential Textile, Clothing and Footwear Union of Australia. This union represents some of the most vulnerable workers in the labour market – mainly piece workers, immigrants and women. But all of the unions involved in the merger face external pressures. These include declining union membership, new technologies in the workplace, closures of power plants and mines, and offshoring of manufacturing in textiles and footwear. As they are bigger, super unions can save money on the provision of union services, thus freeing up resources for building membership and other union activities. The origins of contemporary trade union mergers date back to the economic reforms of the 1980s. The Hawke-Keating governments attempted to create an era of industrial co-operation through a framework for industrial restructuring and industrial relations. The ultimate focus was on creating 20 industries, with 20 super unions representing the workforces. From a union perspective, the mergers could arguably be seen as not as successful as they were expected to be. Union membership has continued to decline in Australia. However, if we measure the outcome in terms of industrial conflict, recent data show that union mergers have been successful. Many of the unions that will form the CFMMEU are themselves the result of mergers. The Construction, Forestry, Mining and Energy Union is the result of amalgamations covering numerous occupations in the building and construction industry, the forestry industry and the mining and energy sector. The Maritime Union of Australia was formed in 1993 when the Waterside Workers’ Federation amalgamated with the Seamen’s Union of Australia. The Textile, Clothing and Footwear Union of Australia formed in 1991 when the already merged Amalgamated Footwear & Textile Workers’ Union of Australia joined with the Clothing and Allied Trades Union of Australia. The relationship between the CFMEU and the MUA is well established. At one stage they shared national office premises in Sydney. These unions have maintained a close working relationship on several campaigns extending beyond their respective industries, such as the Australian Council of Trade Unions-organised Your Rights at Work campaign. The CFMEU also provided strong support for the MUA during the 1998 Patrick Stevedores waterfront dispute. It is clear that the trade union movement needs to continue to restructure itself into effective organising and campaigning networks through mergers, affiliations, joint activities and resources and other clear manifestations of unity and solidarity in Australia and internationally. The merged union will be able to co-ordinate campaigns beyond the workplace and be of value to a society that sees increasing inequity and suppressed wages growth. As TCFUA national secretary Michele O’Neil said after the Fair Work Commission’s decision to allow the merger, the new super union will “write a new chapter in Australia’s union movement”. Notwithstanding this, union mergers and amalgamations remain a case of old wine in new bottles.